WOSA Sommelier Cup - Good Food RevolutionGood Food Revolution | Wine is food. January 2019: The 360th South African wine harvest is beginning, and Wines of South Africa is pleased to mark the occasion by announcing the 2019 WOSA Sommelier Cup. The triennial contest pits your knowledge of South African wines against that of other sommeliers from across Canada, and, if you make it to the finals, across the world. 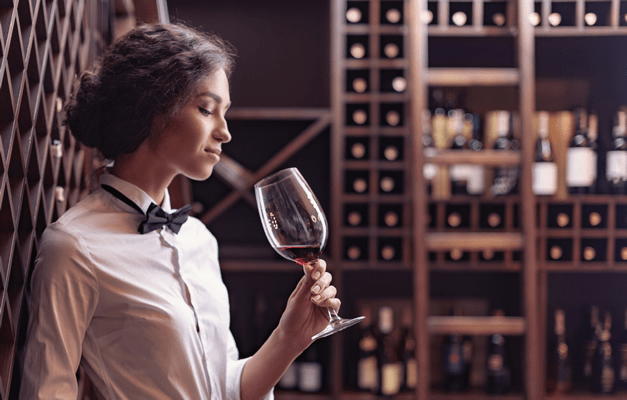 Who’s eligible: sommeliers anywhere in Canada. You need to be currently working in a restaurant as a sommelier and/or wine director, or in wine retail in a buying capacity, to enter. 2. The ten top scorers from across the country will be sent a bottle (or 2) of SA wine. You need to come up with a tasting note, food pairing and then create a short video with your phone. More details to follow. 3. The three best entries will move on to a semi-final round. 4. The winner of the Canadian title next competes with international finalists from around the world in Cape Town in September. Along with the finals, the trip will include visits to the major wine regions and the chance to meet top producers. Dates for the competition and visit are September 19th-26th; expect to land in Cape Town on the 18th/19th and be back home on September 27th. WOSA will cover airfare, accommodation, local transport, and meals. 5. In addition, three spots to accompany the finalist on the trip will also be made available. To participate, competitors from earlier rounds will need to pay their airfare, but WOSA will cover accommodation, local transport, and meals. These three will get to cheer on our finalist and accompany the international sommelier group on their visits and tour of the Cape. Priority will be given to semi-finalists, but then opened to entrants from earlier rounds. 1. Go to wosa.co.za/sommelier/ and complete the entry form. 2. WOSA will reach out to confirm which masterclass you plan to enter. As part of your preparations, we strongly suggest you also taste as many South African wines as possible! For more information please contact Laurel Keenan, WOSA Canada Market Manager, at keenan@propellerpr.com. Wines of South Africa is a Good Food Fighter. Please support the businesses and organizations that support Good Food Revolution.